All we ask is that you agree to abide by the following Terms and Conditions. Take a few minutes to look them over because by using our site you automatically agree to them. Naturally, if you don’t agree, please do not use the site. We reserve the right to make any modifications that we deem necessary at any time. Please continue to check these terms to see what those changes may be! Your continued use of the EssentialOilsUS.com website means that you accept those changes. All online materials on the EssentialOilsUS.com site, including and without limitation, text, software, names, logos, trademarks, service marks, trade names, images, photos, illustrations, audio clips, video clips, and music are copyrighted intellectual property. All usage rights are owned and controlled by EssentialOilsUS.com. You, the visitor, may download Online Materials for non-commercial, personal use only provided you: 1) retain all copyright, trademark and propriety notices, 2) you make no modifications to the materials, 3) you do not use the materials in a manner that suggests an association with any of our products, services, events or brands, and 4) you do not download quantities of materials to a database, server, or personal computer for reuse for commercial purposes. You may not, however, copy, reproduce, republish, upload, post, transmit or distribute Online Materials in any way or for any other purpose unless you get our written permission first. Neither may you add, delete, distort or misrepresent any content on the EssentialOilsUS.com site. Any attempts to modify any Online Material, or to defeat or circumvent our security features is prohibited. Everything you download, any software, plus all files, all images incorporated in or generated by the software, and all data accompanying it, is considered licensed to you by EssentialOilsUS.com or third-party licensors for your personal, non-commercial home use only. We do not transfer title of the software to you. That means that we retain full and complete title to the software and to all of the associated intellectual-property rights. You’re not allowed to redistribute or sell the material or to reverse-engineer, disassemble or otherwise convert it to any other form that people can use. 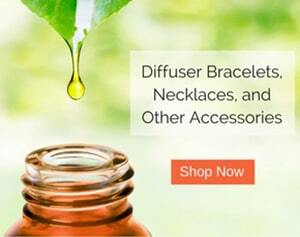 You may be contacted by someone at Essential Oils US regarding our other products. If you are interested in these products, you will become aware of them via our online marketing & advertising, follow up email marketing, or phone call. You have the option to opt out of any email campaign or advertising campaign that we do regarding the above services. *Please note that you must include your full original order information, along with a Return Authorization Number for a prompt refund when we receive it. To obtain a Return Authorization Number, please email customer support at support@essentialoilsus.com. We highly recommend that you mail your return with some form of tracking for your own protection. Your return will absolutely be honored if mailed without tracking however, we are not responsible for lost packages. Your product will be sent via UPS/USPS or FedEx Ground. We ship within 1-3 business day of when you placed your order. Please allow 3-5 business days AFTER we have shipped your product for it to be delivered. That means that we don’t have to treat any such submission as confidential. You can’t sue us for using ideas you submit. If we use them, or anything like them, we don’t have to pay you or anyone else for them. We will have the exclusive ownership of all present and future rights to submissions of any kind. We can use them for any purpose we deem appropriate to our EssentialOilsUS.com mission, without compensating you or anyone else for them. ESSENTIALOILSUS.COM WILL NOT BE LIABLE FOR ANY DAMAGES OR INJURY THAT ACCOMPANY OR RESULT FROM YOUR USE OF ANY PORTION OF ITS SITE. THESE INCLUDE (BUT ARE NOT LIMITED TO) DAMAGES OR INJURY CAUSED BY ANY: USE OF (OR INABILITY TO USE) THE SITE, USE OF (OR INABILITY TO USE) ANY SITE TO WHICH YOU HYPERLINK FROM OUR SITE, FAILURE OF OUR SITE TO PERFORM IN THE MANNER YOU EXPECTED OR DESIRED, ERROR ON OUR SITE, OMISSION ON OUR SITE, INTERRUPTION OF AVAILABILITY OF OUR SITE, DEFECT ON OUR SITE, DELAY IN OPERATION OR TRANSMISSION OF OUR SITE, COMPUTER VIRUS OR LINE FAILURE – PLEASE NOTE THAT WE ARE NOT LIABLE FOR ANY DAMAGES, INCLUDING: DAMAGES INTENDED TO COMPENSATE SOMEONE DIRECTLY FOR A LOSS OR INJURY, DAMAGES REASONABLY EXPECTED TO RESULT FROM A LOSS OR INJURY (KNOWN IN LEGAL TERMS AS “CONSEQUENTIAL DAMAGES.”) OR OTHER MISCELLANEOUS DAMAGES AND EXPENSES RESULTING DIRECTLY FROM A LOSS OR INJURY (KNOWN IN LEGAL TERMS AS “INCIDENTAL DAMAGES.”) WE ARE NOT LIABLE EVEN IF WE’VE BEEN NEGLIGENT OR IF OUR AUTHORIZED REPRESENTATIVE HAS BEEN ADVISED OF THE POSSIBILITY OF SUCH DAMAGES OR BOTH. EXCEPTION: CERTAIN STATE LAWS MAY NOT ALLOW US TO LIMIT OR EXCLUDE LIABILITY FOR THESE “INCIDENTAL” OR “CONSEQUENTIAL” DAMAGES. IF YOU LIVE IN ONE OF THOSE STATES, THE ABOVE LIMITATION OBVIOUSLY WOULD NOT APPLY WHICH WOULD MEAN THAT YOU MIGHT HAVE THE RIGHT TO RECOVER THESE TYPES OF DAMAGES. HOWEVER, IN ANY EVENT, OUR LIABILITY TO YOU FOR ALL LOSSES, DAMAGES, INJURIES, AND CLAIMS OF ANY AND EVERY KIND (WHETHER THE DAMAGES ARE CLAIMED UNDER THE TERMS OF A CONTRACT, OR CLAIMED TO BE CAUSED BY NEGLIGENCE OR OTHER WRONGFUL CONDUCT, OR THEY’RE CLAIMED UNDER ANY OTHER LEGAL THEORY) WILL NOT BE GREATER THAN THE AMOUNT YOU PAID IF ANYTHING TO ACCESS OUR SITE. We sometimes provide referrals to and links to other World Wide websites from our site. Such a link should not be seen as an endorsement, approval or agreement with any information or resources offered at sites you can access through our site. If in doubt, always check the Uniform Resource Locator (URL) address provided in your WWW browser to see if you are still in a EssentialOilsUS.com-operated site or have moved to another site. EssentialOilsUS.com is not responsible for the content or practices of third party sites that may be linked to our site. When EssentialOilsUS.com provides links or references to other websites, no inference or assumption should be made and no representation should be inferred that EssentialOilsUS.com is connected with, operates or controls these websites. Any approved link must not represent in any way, either explicitly or by implication, that you have received the endorsement, sponsorship or support of any EssentialOilsUS.com site or endorsement, sponsorship or support of EssentialOilsUS.com, including its respective employees, agents or directors. This agreement is effective until terminated by either party. You may terminate this agreement at any time, by destroying all materials obtained from all EssentialOilsUS.com website, along with all related documentation and all copies and installations. EssentialOilsUS.com may terminate this agreement at any time and without notice to you, if, in its sole judgment, you breach any term or condition of this agreement. Upon termination, you must destroy all materials. In addition, by providing material on our website, we do not in any way promise that the materials will remain available to you. And EssentialOilsUS.com is entitled to terminate all or any part of any of its website without notice to you. To the extent you have in any manner violated or threatened to violate EssentialOilsUS.com and/or its affiliates’ intellectual property rights, EssentialOilsUS.com and/or its affiliates may seek injunctive or other appropriate relief in any state or federal court in the State of EssentialOilsUS.com, and you consent to exclusive jurisdiction and venue in such courts. If a dispute arises under this agreement, we agree to first try to resolve it with the help of a mutually agreed-upon mediator in the following location: Miami Dade County, FL. Any costs and fees other than attorney fees associated with the mediation will be shared equally by each of us. If it proves impossible to arrive at a mutually satisfactory solution through mediation, we agree to submit the dispute to binding arbitration at the following location: Dallas County, TX., under the rules of the American Arbitration Association. Judgment upon the award rendered by the arbitration may be entered in any court with jurisdiction to do so.